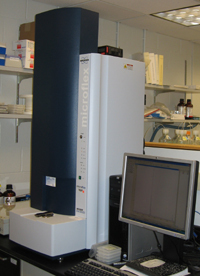 The Biomolecular Analysis Facility has equipment which is either not commonly found in individual laboratories or is needed only occasionally by some laboratories. 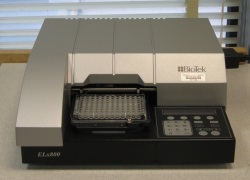 Some equipment is operated by facility personnel, and some is used by individual researchers. The mass spectrometer has an Orbitrap mass analyzer with a mass range of 50 to 8000, and resolution up to 240,000. 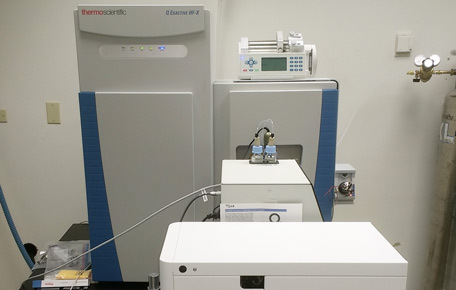 This instrument measures masses of intact molecules. 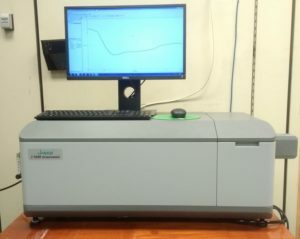 Sample preparation is usually relatively simple so this instrument is the first choice to obtain the mass of peptides, proteins and some other molecules. 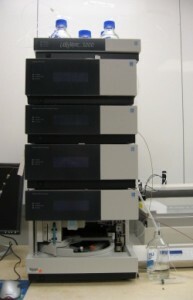 For fluorescence readings of plates with 384, 96, 24, 12, 6 well microtiter plates. Does not perform absorbance readings. Operated by researcher. Fee for use. Dionex Ultimate for 0.3 to 4.6 mm diameter columns. Variable wavelength UV detector.Used for separation of peptides, proteins and some other molecules, usually with reverse phase columns. For studies on tertiary structure of proteins. Brief background on operation here. 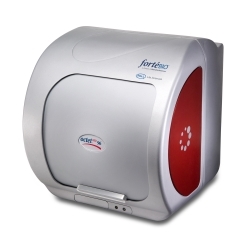 fortéBIO Octet RED96 uses BioLayer Interferometry with disposable probes to measure association and dissociation rates of pairs of molecules and hence dissociation constants.